This year is quickly coming to an end and we will be ringing in the New Year this coming Friday. 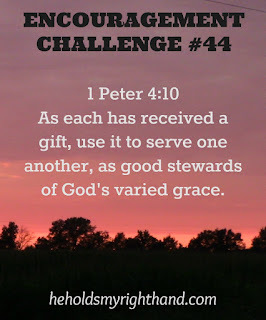 So, for this week's ENCOURAGEMENT CHALLENGE, I would like for you to think about what your gifts and talents are - the kind of gifts God has given us for the purpose of encouraging others (i.e. teaching, preaching, writing, listening, playing music, sewing, giving, caring, etc.) Then, choose a favorite verse, or just one word, that will help you keep your encouragement goals on track in the coming year. Once you have chosen it, write it out, or print it out. Decorate it. Put it in a place where you will see it every day when you wake up. Then, live it out to the best of your ability in 2016. 1 Thessalonians 5:11 - Therefore encourage one another and build one another up, just as you are doing. 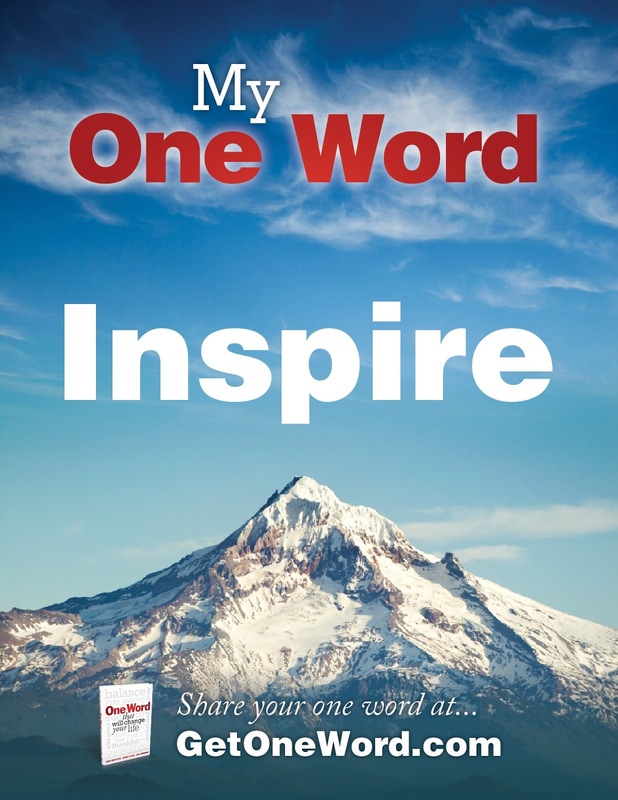 My one word for 2016 is: Inspire. 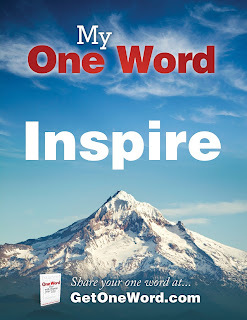 I hope to keep writing, and to use this blog as a tool to inspire myself and others to love God and remain faithful to Him, to spread the love of Jesus to those around us, and to take time to enjoy this life we have been given. 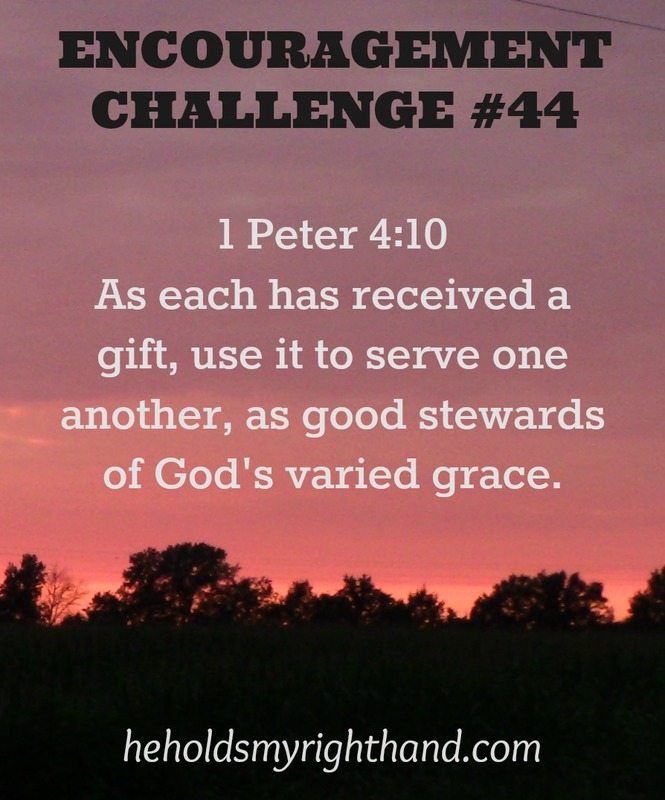 Please share your word or verse for the year. I'd love to see what you have come up with.